in the gaze of the Great Horned One? Dan gave me an owl carved of black rock by a Cochiti Pueblo Indian. It fits perfectly in my hand, just the size of my palm, like those little clay goddesses ancient women held onto when in labor. It is clearly carved by a master—a few deft strokes release the spirit of owl within. I hold the owl in my hand while I meditate. It is good medicine. It calms me, reminds me it is my totem. When I go off into catastrophic thoughts about climate change and fractured ecosystems, about melting glaciers and loss of species, owl speaks to me. Owl, after all, not only sees in the dark, owl knows how to live in the dark. If human hands can find my spirit in a rock, then human hands can remember what they knew in ancient time, about healing Mother Earth, cultivating her creatures, bringing people back to their senses. Owl revealed himself as my totem after Dan and I moved from a big urban home, where we had lived with our children, to a house on a ridge for just the two of us. The experience of living in that house cracked open my citified consciousness. It taught me the ways of the sun as it moved from summer to winter and back. It gave me a bird’s eye view of the fog flowing over the Berkeley Oakland hills. Trees were our companions, hawks and falcons. Once an eagle visited with me, sitting on a nearby power pole. I dropped down to my essential nature as a poet in that house. My inner life opened and my Muse began to speak. At night we often woke to the uncanny sound of owls calling across the valley. 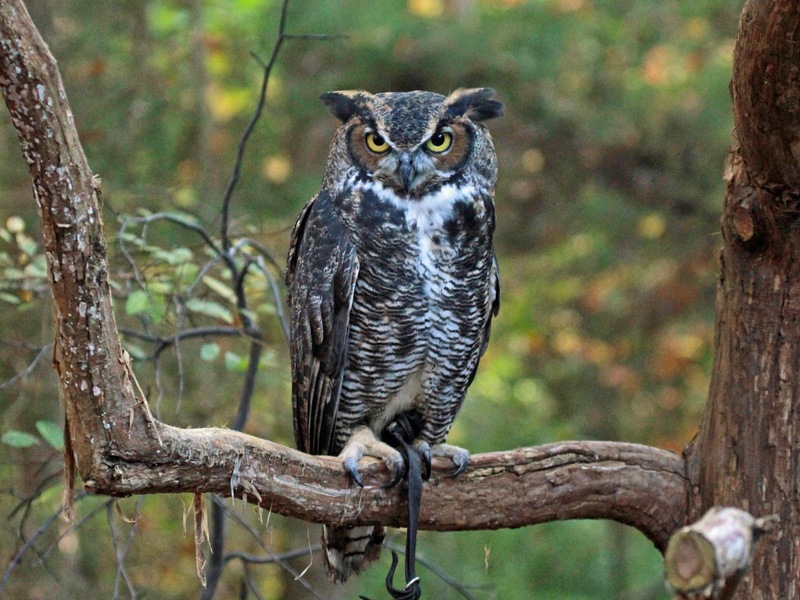 One night I saw him, the Great Horned One, perched on a corner of our roof. Ordinary consciousness cracked open and I was in the ruthless grip of that raptor’s fierce gaze. Haven’t I gentled your eyes? flows over the western hills? That house and the Great Horned One, are in me still. Owl medicine speaks to me in the townhouse I’ve come to love. dead and empty cosmic space. My stone owl is a creation of a kind of participation mystique, the radical empathy of a maker who can see owl emerging out of rock. This requires a profound “at oneness” with the natural world. A new book of essays from Fisher King Press takes on this rich topic. Shared Realities: Participation Mystique and Beyond is edited by Mark Winborn. 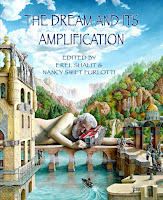 On its cover is a powerful painting by Susan Bostrom–Wong of the San Francisco Jung Institute. Winborn has given us many gifts in this volume, not the least of which is the above quote by Neumann, which he cites in his Introduction. come and go, in the procession of the seasons. I was suddenly completely taken up by a strange awareness that there was life teeming out there around me, life that was simple, wild, and on the hunt just outside my window…at least I hoped it was outside…The intensity of this awareness was only outdone by the simultaneous understanding that I was surely losing my mind. I was unprepared for…the power of such a “spirit of place,” an energy belonging to the land and its creatures. It’s clear that the spirit of place seeps into consciousness through psychoid gateways opened for us, or left unattended, luring us deeper into the dark tropics of soul. With Braden, I believe that we need to “lose” our minds, take owl medicine, know we are prey as well as predator, in order to find our way back to our senses, to our place on earth. Theodore Roethke, the father of ecopsychology, understood that our psyches are organized around a core “ecological unconscious.” So did Jung. Actual, living speech is…a vocal gesticulation wherein the meaning is inseparable from the sound, the shape, and the rhythm of the words…It remains rooted in the sensual dimension of experience born of the body’s native capacity to resonate with other bodies and with the landscape as a whole. What Abrams understands is that poetry is a kind of participation mystique. 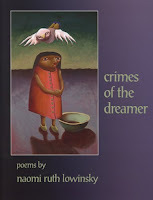 The poem, says poet Charles Olson, is “energy transferred from where the poet got it…all the way over to the reader.” Don’t forget, poetry begins with the chant of the shaman. And Owl was the shaman’s familiar. Well they’d made up their minds to be everywhere because why not. Owl, like any good muse, is a mode of transport. 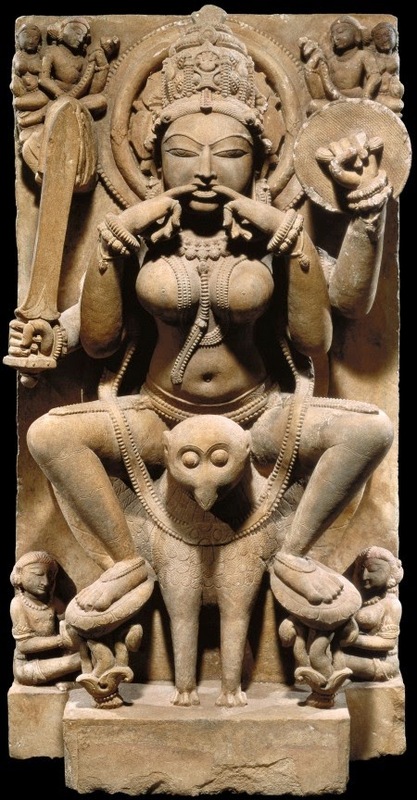 Here is the South Indian version—a yogini riding her owl. She has her fingers in her mouth because she is about to emit an ear splitting shriek. Her name is “She Who Makes A Loud Noise,” rather a good name for any visionary artist riding her night visions. We all need to be making a loud noise speaking for Mother Earth, her creatures and what the ancients knew. 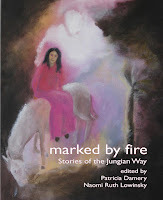 Owl invites you to a daylong writing workshop in the spirit of Owl Medicine: “Wounded Earth, Wounded Psyche,” at the Jung Institute on November 15th 2014. 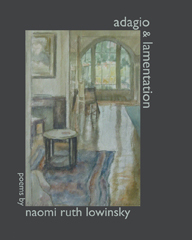 Naomi’s paper “Self Portrait with Ghost: The Art of Lament and Redemption” with glorious photos of her grandmother’s art, taken by Ryan Bush, has just been published in the Jung Journal. 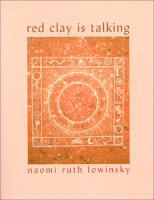 Naomi has two poems in the current issue of Ginosko, online.